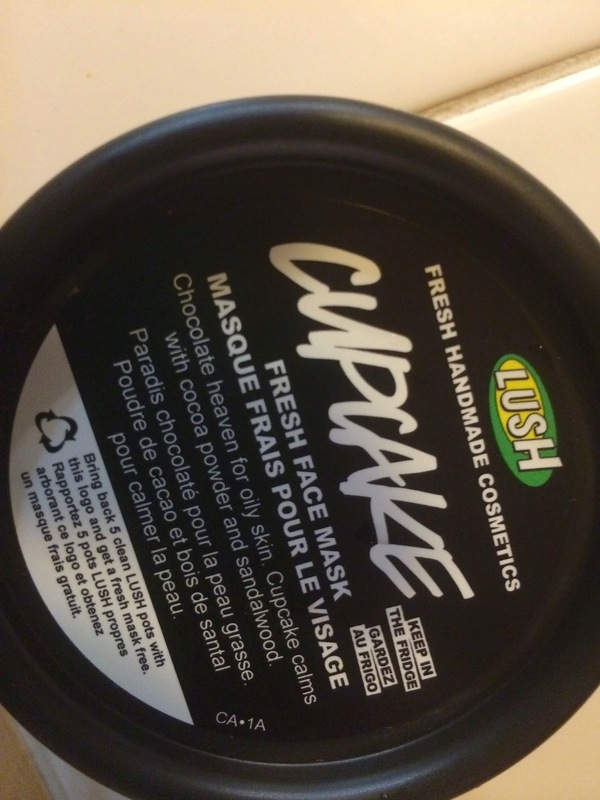 This facemask has chocolate in it that's why I chose it it smells really good. I saw this display on ice which is what brought me into the store to look at it. There were a few bowls of the different facemasks. I told the sales lady I wanted one and she got a tub out of the fridge told me I needed to store it in the fridge because there are fresh ingredients in. She told me to put it on leave it for 10 minutes and wash it off with hot water. The actual tub has the same instructions on it and there is an expiry date on it last for about two weeks. 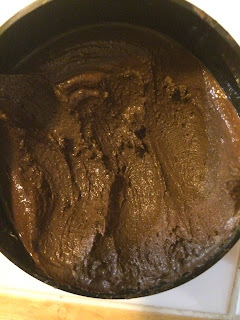 The pot says it is chocolate heaven for oily skin. Cupcake calms with cocoa powder and sandwood. The tub has enough for 2-3 masks. I think it cost around $7 I don't remember the exact price. I put it on my face and it felt really fresh it was easy to spread on kind of like my face was a cupcake and I was spreading frosting on it. It felt really good the 10 minutes it was on and it tightened up. It didn't come off with just hot water I had to get a cloth and wipe it off and the parts that spilled in my sink didn't look very appealing like mud the first ingredient is morrocon lava clay. I used a white cloth to take it off and it cloth chocolate colour stained but rinsing the cloth out was easy and almost everything came out with a few rinses. My skin felt really fresh and clean. I love that this product is vegan and its natural there is nothing in it to irritate my skin. I definately recommend this product.